Fast-forward to now. Five years have passed since Debbie, Sam, Chase and I made this deal: give our training three months. If it doesn’t work out, I’ll rescue him. Needless to say, Chase has a permanent and loving home! I’m so proud of their accomplishments. 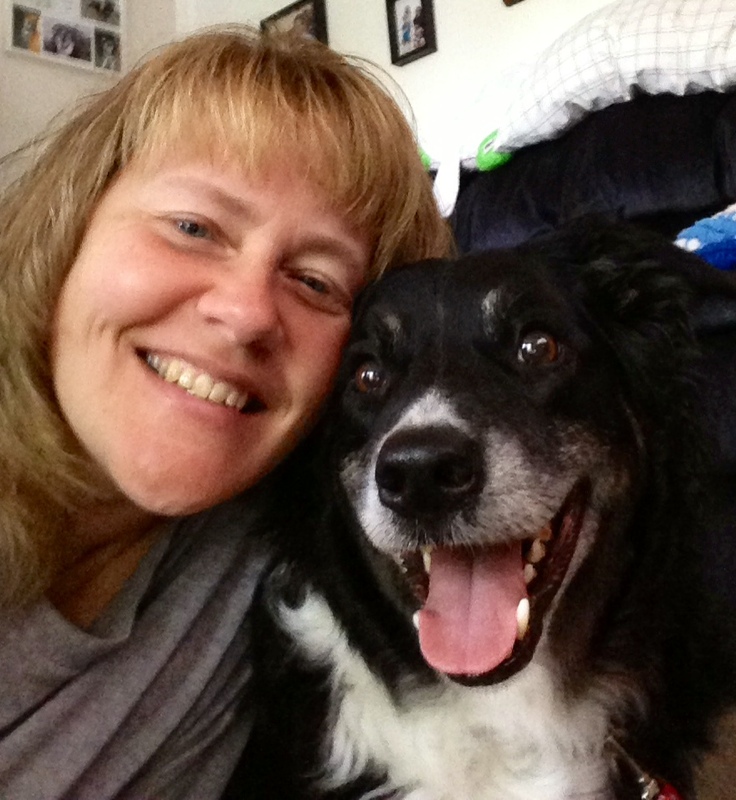 Debbie has also gone beyond my training and taught Chase many playful and clever tricks; she was always diligent in making sure she kept the learning process fun. I was so impressed with their tricks that I invited her to teach a Tricks Workshop at the training center. It’s a great success; the students enjoy the amusing and interactive activities with their dogs. Watch Chase’s video on YouTube, http://www.youtube.com/watch?v=p5XmqxNqFaE&feature=youtu.be. Chase will always be a work in progress. When Debbie and Sam leave the house, Chase must go to his room. There he finds a yummy interactive toy that keeps his mind occupied for a short while. Now Debbie and Sam can go out the door without Chase jumping and biting at them. When company comes to Debbie’s home, depending on who’s coming to visit and how long they’re staying, she handles Chase differently. 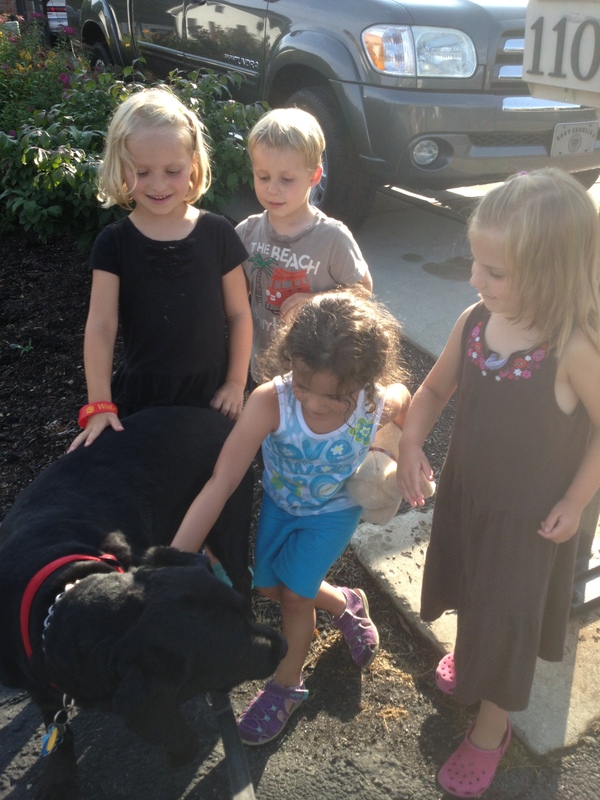 Chase is comfortable with older children and adults that he is familiar with. Very young children and infants make him uneasy. Their quick, unpredictable movements, loud high-pitched voices, and crying make him anxious. 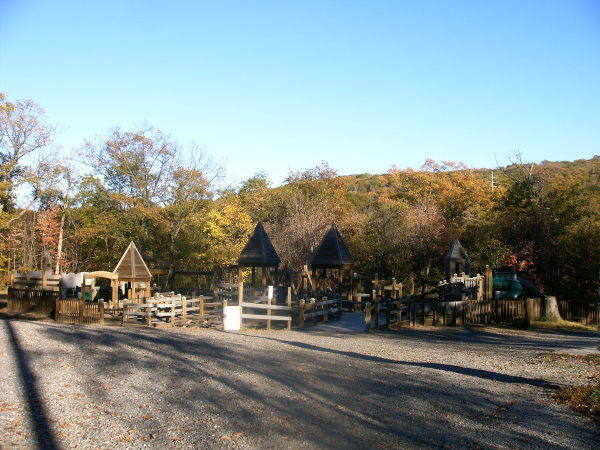 If the young children stay just for an afternoon, Debbie can manage Chase at the house by keeping him with her on a leash, giving him an occasional time out in his room, and making sure he gets outside often to exercise. 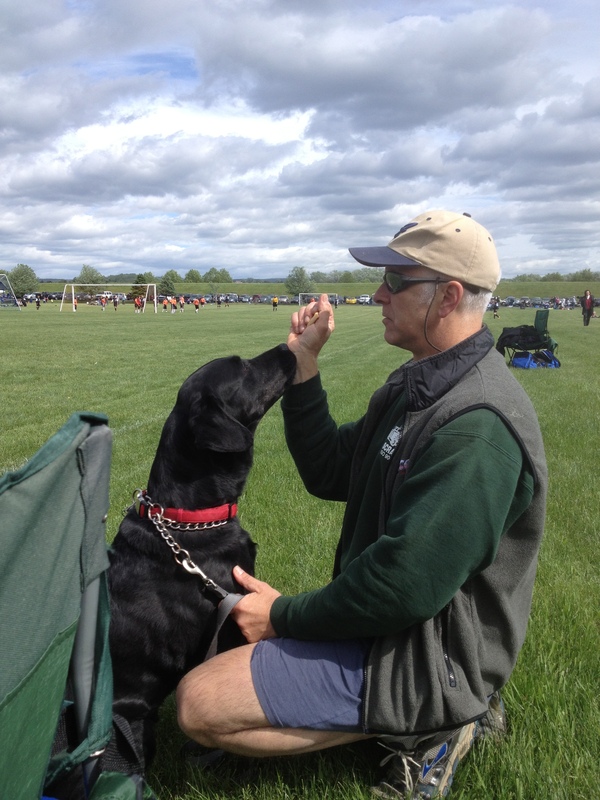 When they have out-of-state visitors stay at their home they take Chase to a boarding kennel at the training center. Chase knows the facility very well and does fine with his stay. The Gentle Leader is a mainstay for walking, because keeping control of Chase’s head and mouth is essential. If he happens to see a squirrel, for instance, he’ll lunge and bark. The Gentle Leader keeps him from pulling Debbie down to the ground. Also, for no obvious reason, he’s not comfortable with certain people. He might grab and bite them. Again the Gentle Leader affords Debbie the head control to keep him from endangering others, and therefore himself. When it’s time to exercise outside Debbie puts a collar on Chase and secures it to a 30” long line. 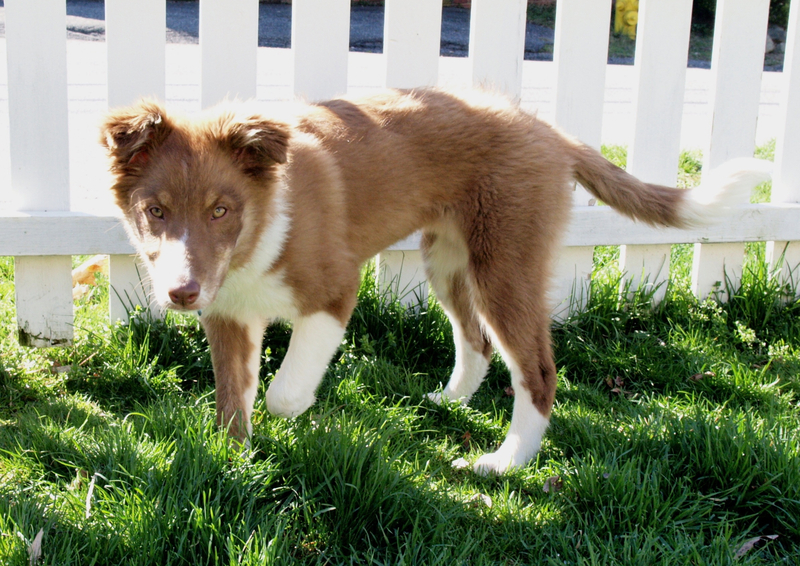 Chase can never be trusted off-lead unless in a fenced area. While outside on the long line Chase gets to explore, play fetch, practice recall and run. 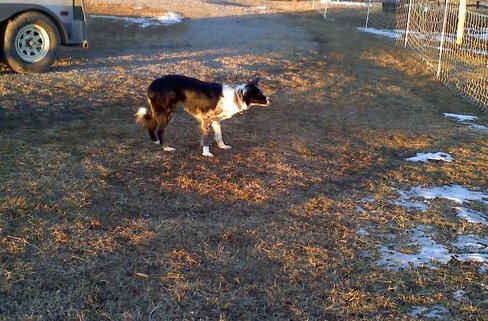 If while on the long lead he encounters a wild animal or a neighbor that makes him uneasy, Debbie can use the, “Leave It” and “Come here” commands. Fortunately Chase is food-motivated and knows that if he immediately returns to Debbie he’ll be rewarded with a mouth-watering treat. Debbie keeps a crate in her car for travel. Chase jumps right in and lies down quietly. If not for the crate, Debbie would never be able to safely exit her vehicle. Chase gets far too anxious when she or anyone else tries to get out of the car and walk away. He barks, bites, and grabs the clothing of whoever tries to leave the vehicle without him. So as you see, for the obvious reasons, it’s safer for all parties involved that Chase rides in a crate. His separation anxiety, for the most part, is under control. He no longer redecorates the walls, baseboards, and floors with frantic claw marks. A person leaving the home is still a little bit of an issue, so Sam and Debbie are diligent with the down/stay exercise. Chase is not released from the position until the person has exited the house and driven away. Chase, has become my buddy. Sometime I look at him and say, “There’s my adorable little bother,” and he wiggles so hard he keels over and shows me his tummy. Debbie and I have also become great friends, a relationship I value very much. I’m thankful to be a part of this remarkable journey. For how frightened I was of Chase, something told me I had to help him. 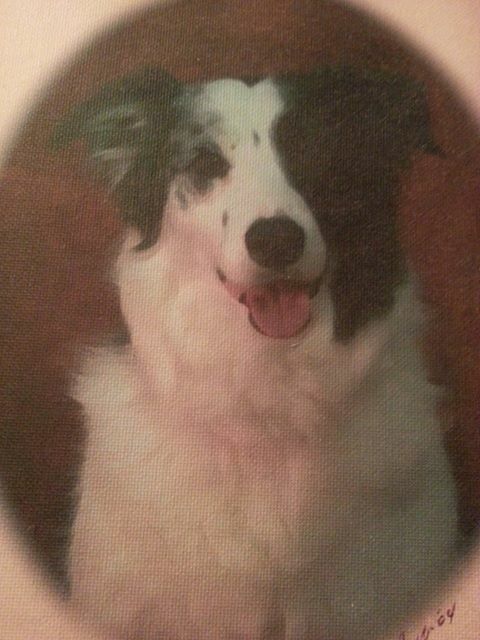 I’m not sure if it was the fear of losing a dog all over again that tugged at my heart, but that was part of it. I think I just knew that if given time and with the right direction we would make it. Chase has taught me so much. I have become a more patient person, I’m more relaxed and learn to be proactive rather than reactive when Chase acts out. Terri has been a godsend for Chase and me. She is so compassionate about animals as well as the people that care for them. If I hadn’t made that call to her, I really don’t know where Chase or even I would be today. Would his next adopter have done the same for him, or would he have just been put down? 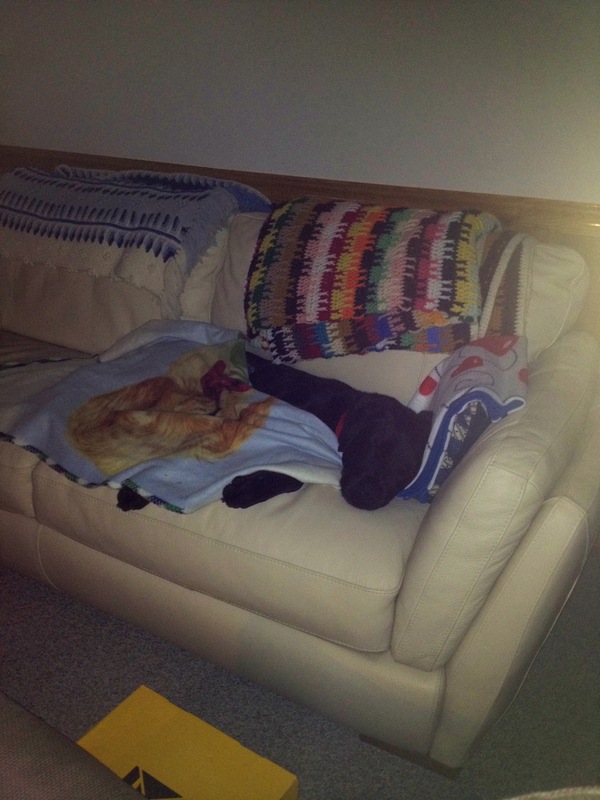 Would I have adopted another dog, or just given up? Terri has inspired me to become a trainer and to help people the way she helped us. Chase has come a long way in the last five years, and even though he still has his moments, I can say that I am equipped to handle them. Occasionally I still get a little frightened so I stop take a deep breath and move forward. Chase has turned into a loving companion and we are forever grateful to Terri, her family, and her pack for helping us get where we are today! And as a bonus, we have forged a long lasting friendship! Chase needed help learning to be a team player. 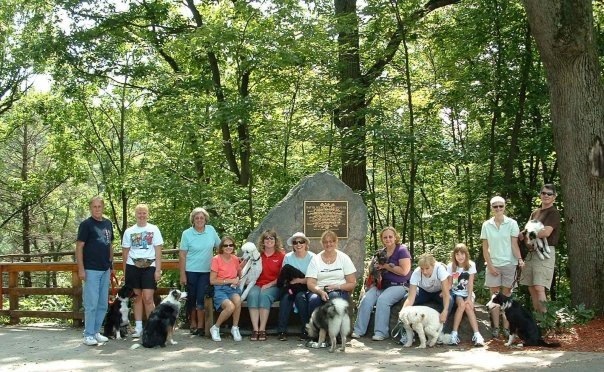 This week the class would assemble at a local dog-friendly park. I was really looking forward to it; the “Beyond the Back Yard” class offers my students an opportunity to become experienced in handling their dogs in all types of environments, and is always so much fun. We formed a large circle in order to hear one another while we spoke. I placed Debbie and Chase next to my mom and my dog, Bonny. My mom is an experienced dog handler, and my dog Bonny is well trained and able to deal with disruptive dogs with little to no reaction. Everything was going well. The class members took turns discussing their successes and failures, and I offered praise and advice, when suddenly, Chase lunged and barked at Bonny, and Debbie panicked. “Stay calm. Just back away from the group,” I said. Chase snarled and leapt at the end of his leash. With fear and tears in her eyes, Debbie strained to pull him away. Debbie dragged Chase about ten feet away, and then another five or so before Chase calmed down and sniffed the grass. “Do you think he’ll ever stop acting like this?” Debbie asked, wiping tears off her cheeks. I had the class practice down-stays while I approached her and said softly, “Yes. He’ll come around, and so will you. Here. Let me take Chase for a while. You take a deep breath and smile, okay?” I took Chase’s leash, and we walked back toward the group. I stopped about five feet away, just as Chase began to slow down and watch the other dogs with prick ears and stiff legs. Everybody lit up with anticipation and fell in line behind Chase and me. Debbie followed at my side. As we approached the zoo animal’s cages, I instructed the group to stay in a line and keep their dogs a few feet back from the cages. 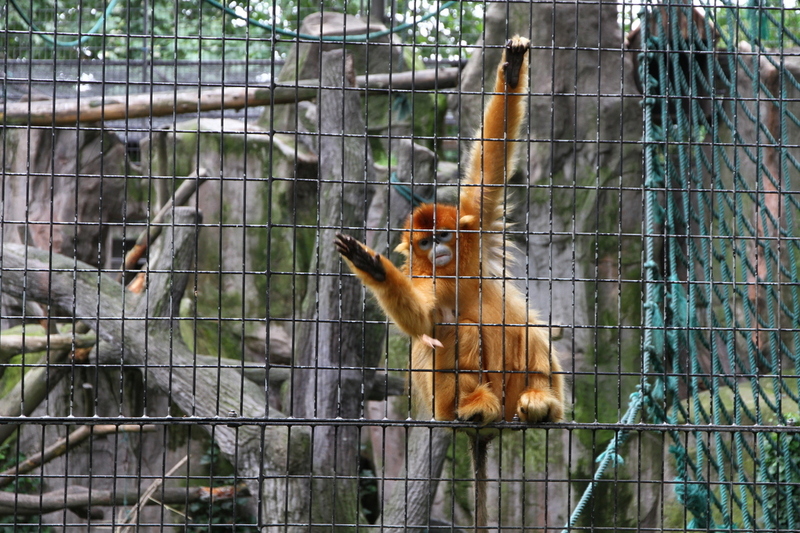 “It’s not fair to the zoo animals to let dogs harass them and bark at them while they’re trapped in their enclosures. 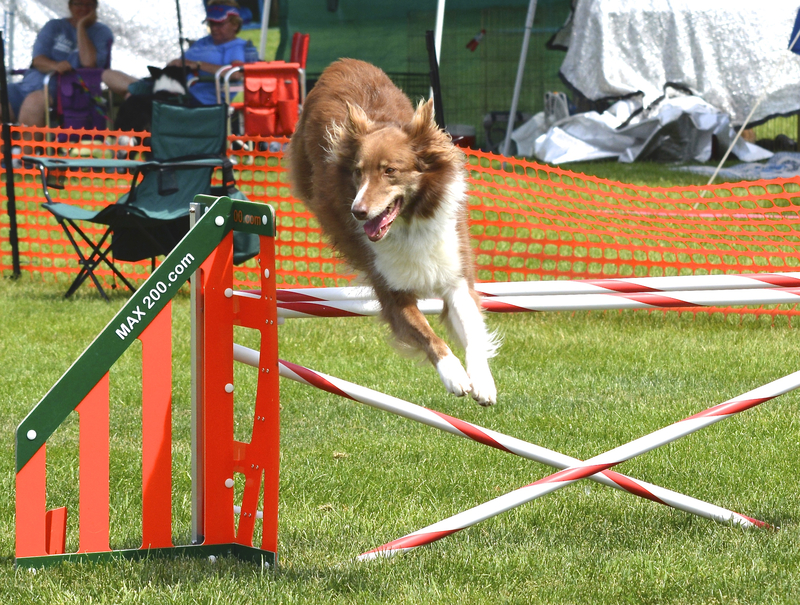 Our goal is to teach our dogs to be well behaved and mannerly.” One by one we worked the ‘heel’ position back and forth past the monkeys, lions, exotic birds, and other zoo animals. 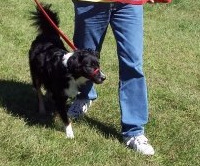 Chase, wearing the Gentle Leader, walked very well with me. I watched Debbie’s face. She was watching Chase with pride, affection, and hope. “Are you ready to take a turn walking with Chase?” I asked. “Wrong answer, Deb. You are ready, and you can do this! I want you to work within his comfort zone. I’ll stay right next to you.” I instructed Chase to sit and handed Debbie the leash. She took a deep breath, stood up straight, and off we went, back and forth several times past the animals. They did an awesome job, absolutely no overreaction from Chase. The class applauded and praised both Chase and Debbie for doing such a great job. The monkeys seemed to tease us. While in the vicinity of the zoo animals, I had the class practice their sit- and down-stay exercises, and everyone did well. “Let’s head down the path to an open field, gather in a circle, sit down to relax.” Once we arrived to the open field everyone took out their bottles of water to refresh themselves and their dogs. We talked about how their dogs reacted to the many zoo animals. We all laughed and shared stories about the monkeys, convinced that the monkeys were teasing the dogs each time they passed by their enclosure. Debbie smiled. “Chase is much more relaxed and behaving himself,” she said. “Doggies!” one of the children cried, and they came running. The parents rose and followed more slowly, talking amongst themselves. “Yes! Yes! Yes!” They jumped up and down. “I go to school too!” a child said. The kids and their parents made their way down the line of politely sitting dogs, greeting each owner and dog and doling out treats to those dogs who sat nicely. I noticed that Chase was obviously uncomfortable with the kids approaching, so Debbie walked him away to practice the sit- and down-stays at a distance, careful to keep inside Chase’s comfort zone. All went well. “Thanks so much for your help,” I said to the kids. And off they ran back to play on the slides, seesaws, and jungle gym. The class and I made our way back to the parking lot where we originally met. We discussed where we were going to meet the next week and addressed any other questions. The next time we met, Debbie and Chase came to the training center. I scheduled our meeting before the start of classes so I could evaluate Chase with my own dogs. “Are you sure you want Chase with your dogs?” Debbie asked. “I trust my dogs,” I said. “They’ll follow my lead. 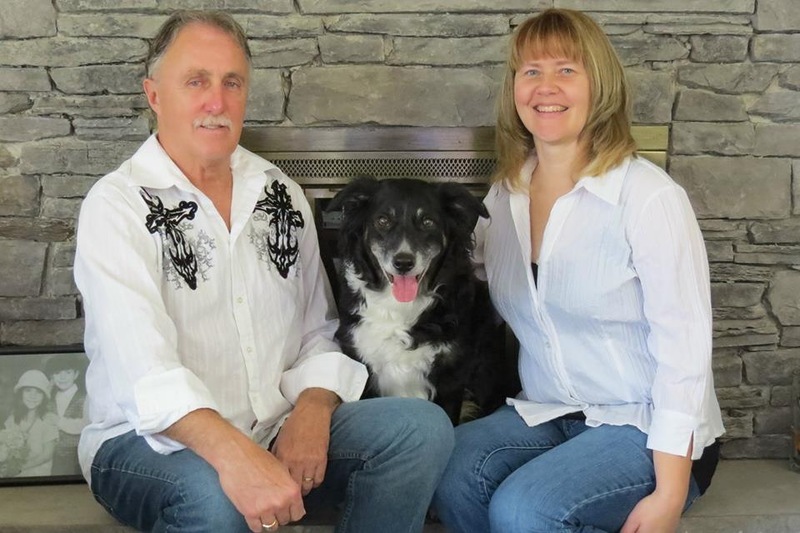 They trust me too and know I’ll keep them safe.” I took the leash from Debbie. “I’m going to keep the leash on Chase, and, since you’re so nervous, I want you to stay inside and watch from the window.” Chase would sense her anxiety and that alone could promote an inappropriate response. I do the meet-and-greets in a large fenced area. I had let my dogs out to the area first to run around. 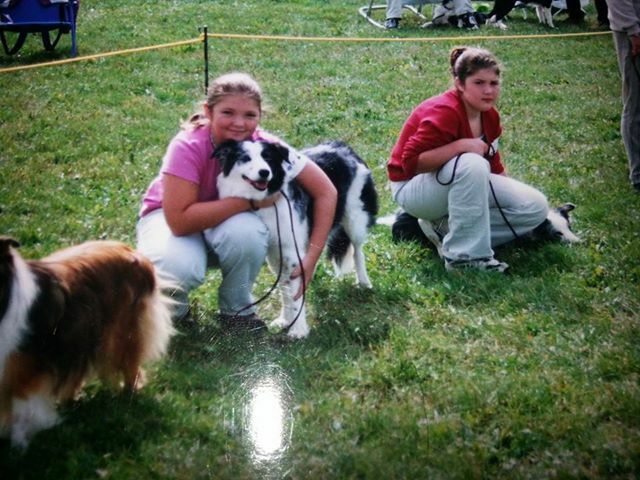 I had six of them at the time: Tulley, Echo, Scout, Meg, Deja, and Wyn. With Chase on lead, I walked around with him, allowing him to move as freely as the six-foot lead would offer so he could relax. I said little. There was enough conversation in body language among the dogs. As soon as I was confident that Chase was not going to dart after and attack my dogs, I dropped the leash. I stayed by, just in case he lunged or behaved aggressively. As I suspected, at first my dogs ignored Chase, and he did the same. After a short while Tulley, the social butterfly of the pack, approached Chase. (Ironically enough, when I rescued Tulley it was said that he would never be good with other dogs.) Tulley’s tail was up and wagging, his interaction welcoming. 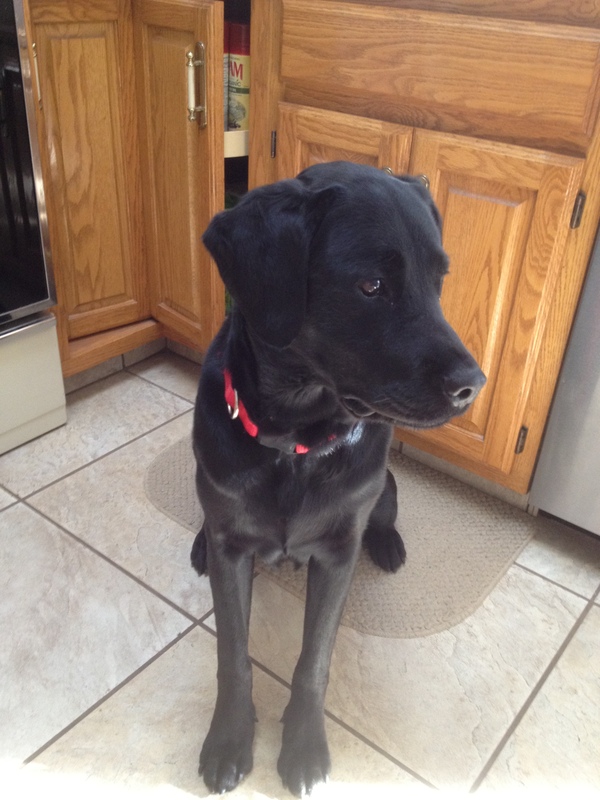 Chase lowered his head, flattened his ears, tucked his tail under, and diverted his gaze, signaling he was not a threat. Tulley read his body language and adjusted his approach accordingly. After the initial greeting went well, one by one my other dogs went up to Chase to say hello. The females were less impressed as he was a bit of a flirt. In fact, when the females corrected his obnoxious behavior he politely deferred to them. 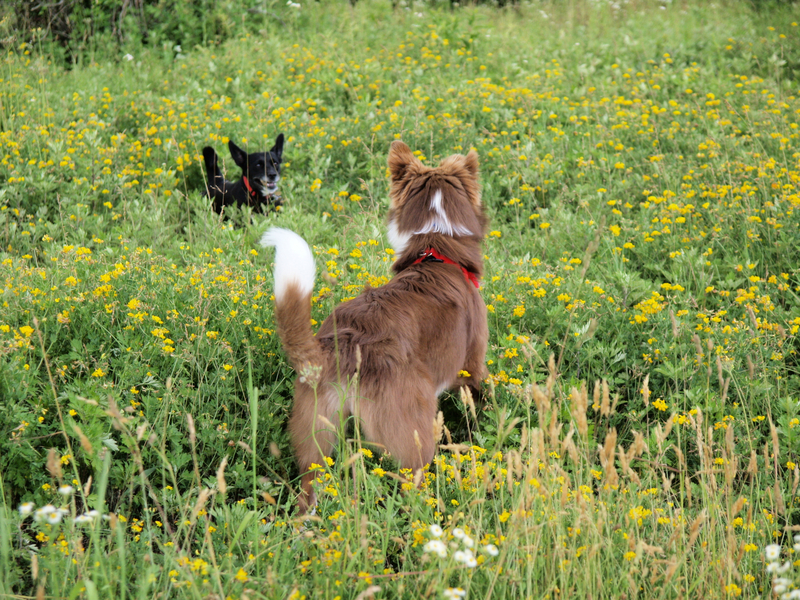 Overall, I felt the interaction with Chase and my pack went well. Once the dogs settled down, I invited Debbie into the yard. As soon as she stepped outside, all of my dogs ran to greet her. Chase immediately ran between my dogs and Debbie and didn’t want any of them near her. 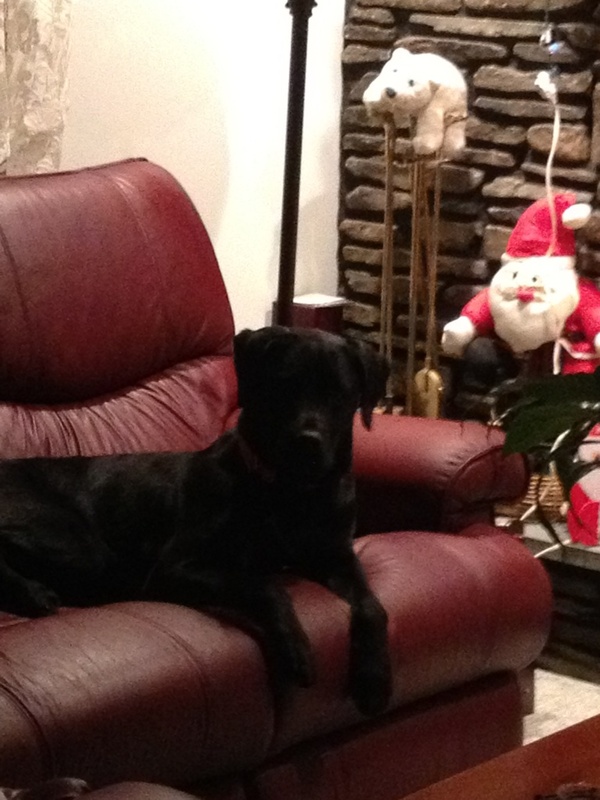 As soon as Chase started to growl at my dogs Debbie retreated. I stepped in, took a hold of Chase’s leash and removed him bodily from the group. She nodded soberly. Chase was panting from the excitement. Every time he heard a noise from outside, he pulled for the door, eager to throw himself back into action. “I’m up for it. In fact I’m looking forward to it,” she said. The other students and their dogs were arriving. We had a few minutes before class would start. To prevent Chase from lunging at the incoming students, I had Debbie practice focus and body-blocking exercises. Fortunately, with a really yummy treat, Chase’s food drive was nearly equal to his defense drive. “Nearly,” however, wasn’t good enough. A couple of times he lunged and snarled at other dogs. It was scary not only for Debbie but the other people and their dogs as well. “Chase isn’t being fair,” I said. “Let’s try a Gentle Leader head halter so you have more control of his head and mouth.” We fitted him for the Gentle Leader, and class began. The halter worked wonders–Chase’s behavior was more manageable for the rest of the class. Chase wears his Gentle Leader. 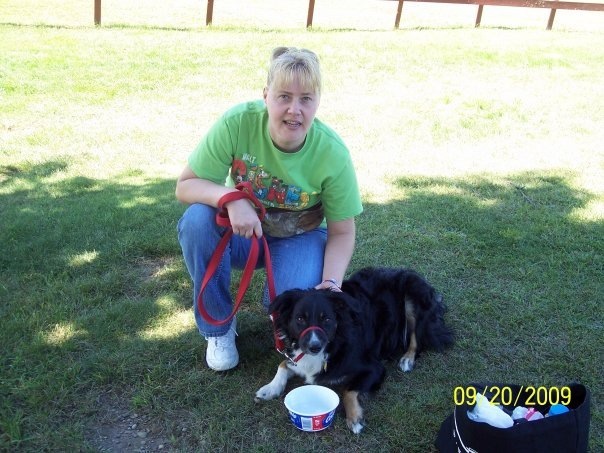 Chase was panting softly by Debbie’s side. 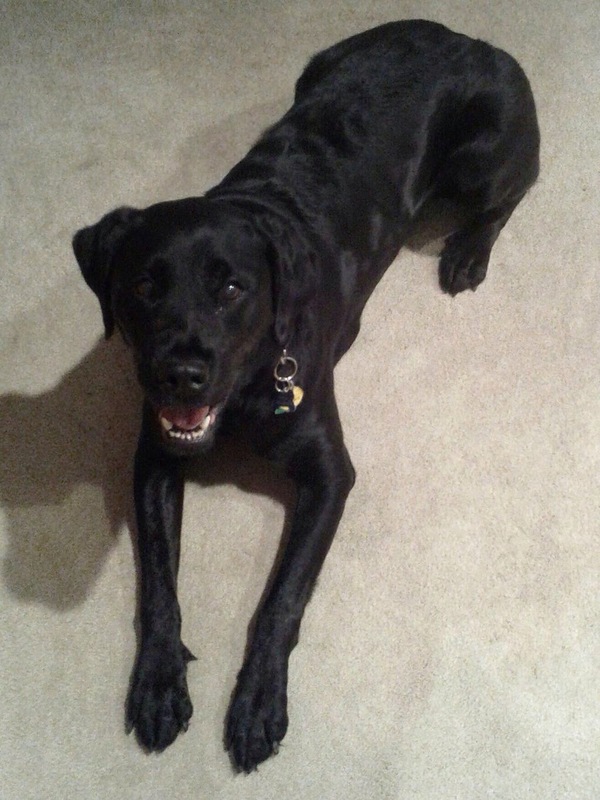 I knelt before him, and he wriggled and wagged for me. I stroked his shoulders. “I like Chase very much,” I said, and stood back up. Relief and gratitude swept over Deb’s face. “Don’t forget—call me immediately if you have any problems or questions.” We hugged again, and I watched as they made their way to Deb’s truck. She spoke to him, her speech calm and happy. I wondered what the week would hold for them. “Don’t forget—same time next week!” I called. They Lost Their Pack Leader: Now What? I never bought into the theory that I had to be the dominant leader of my dog pack. I never saw myself as such, nor did I ever feel the need to attempt to “act” like my dogs in order to communicate with them. Yes, I spend time individually training my dogs, feed them, groom them, socialize, exercise, and love them but I am not their “pack leader.” Yes, humans have domesticated the dog, but to what degree? I have lived with many dogs, at least five at a time, over the course of fifteen years, and can tell you that there appears to be a pecking order within their own ranks. I’m not sure why we would believe otherwise. We humans fall into similar social hierarchies. For instance in sports, doesn’t every team have a coach? Most social animals do. It seems to be natural for any pack, pod, or flock animal—consider the very phrase “pecking order,” which comes from watching chickens. l. – r. Tulley, Echo, Mirk, and Roy, who was just visiting. 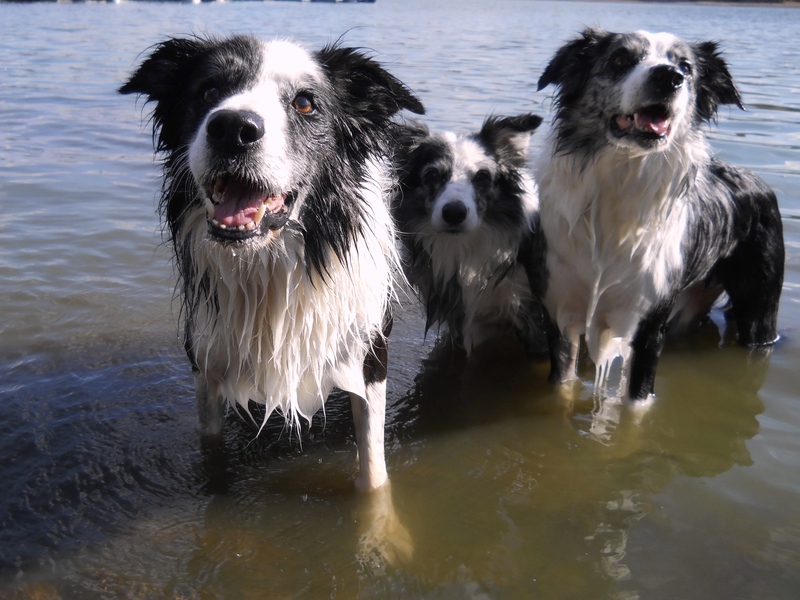 What actually constitutes the definition of a pack leader, within a group of domestic dogs? We know that for a pack of wolves or coyotes it’s all about survival, so we can appreciate the importance of a strong hunter. My dogs have never had to fight for food. I know of puppy evaluations where a piece of meat is thrown to a pack of seven-week-old pups. Whichever pup “guards the meat” is one that the breeder might be very interested in keeping for its dominant temperament. So does the display of a survival instinct define a leader? Perhaps a leader is determined by the tendency to discipline other dogs for inappropriate behavior, in effect, to govern them? How about the drive to ward off strangers? 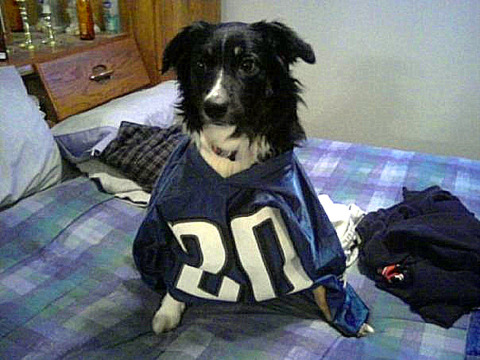 Perhaps the ability to charm humans into doing their bidding might be the real and true mark of a canine pack leader. I’m often amused at how often some dogs have their owners so well trained, and the owners don’t even know it. As of last week, my family and I lived with seven dogs. Heather and her soul-dog, Epic. After careful examination and an abundance of medical testing it was apparent that my old girl Epic had developed a bleed in her brain. There was no turning back. My daughter Heather and I knew that we had to let her go. Epic had chosen my daughter Heather as “her person” soon after we rescued her from a hoarding situation. 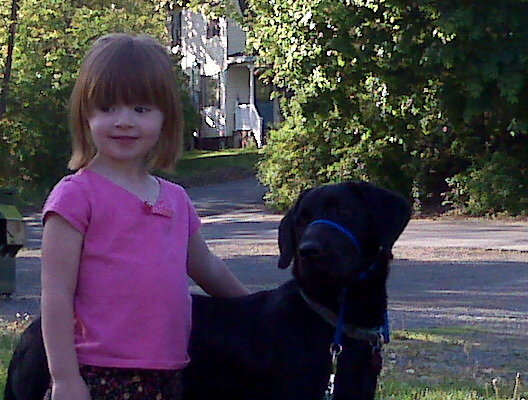 Heather trained her, competed with her in obedience, and became her bed bug at night. In the vet’s examination room, Heather cradled Epic in her arms, inconsolably sobbing. I held both Heather and Epic, reassuring Epic that she was a good girl as the doctor gave her the final injection. Epic took her last deep breath and was gone. She lay peacefully in Heather’s arms until Heather was able to let go. Now the mourning and healing for the human family would begin. But what about the other six dogs? Sweet Epic has left us. A bewildered uneasiness had fallen upon our pack. Epic had been the matriarch who commanded respect. She managed all of them with strong-willed peacekeeping diplomacy. She was a guardian, the greeting committee to the countless rescued dogs who entered our home, an “Aunt” to the occasional litter of puppies, teaching them right from wrong. Any dog who had been under Epic’s regime would greet her by laying down, rolling onto their back and licking her mouth, even when she’d reached the fragile old age of fifteen. 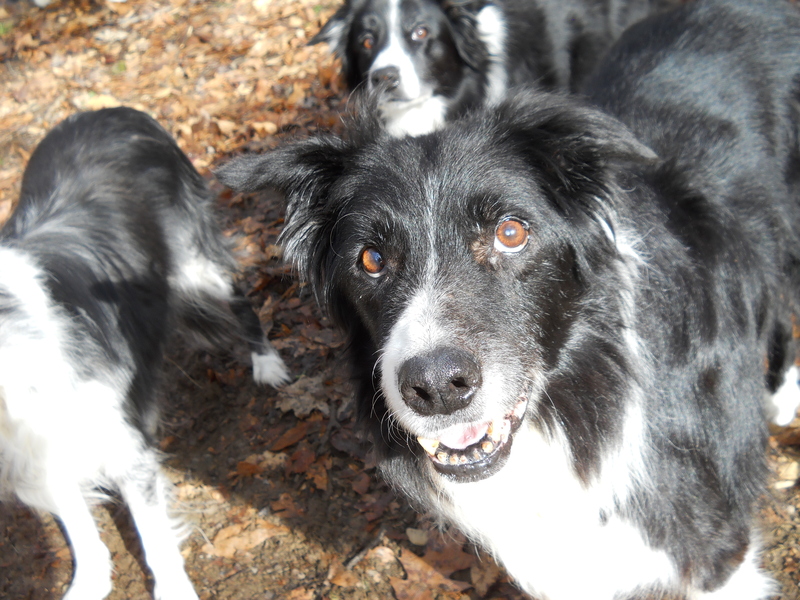 Now our pack consists of Scout, who, at nearly sixteen, is the oldest of them all. 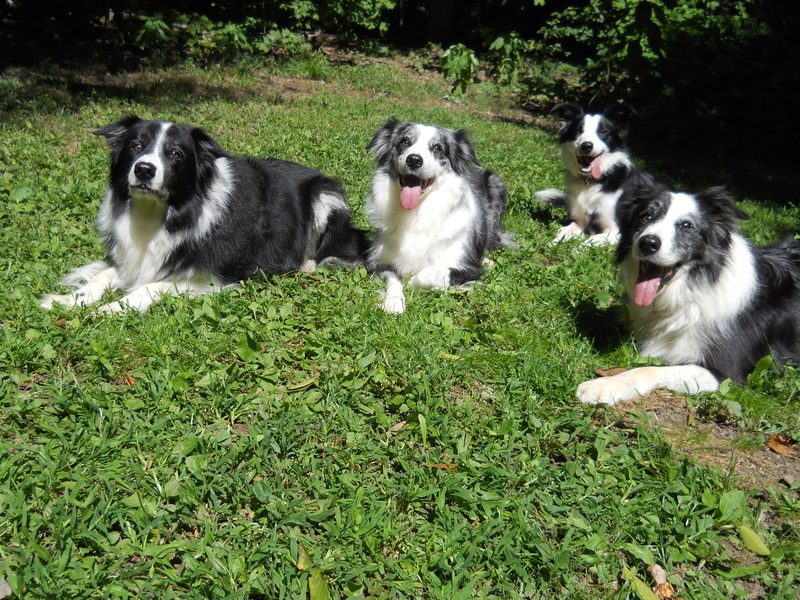 Next is Deja Blue at fourteen, Tulley at a youthful twelve (He was featured in the “Mean Dog” series in BCI), Mirk, age eleven, Echo at seven, and young Wyn of five years. Scout has always been the family pet, too old to care about leading the pack. 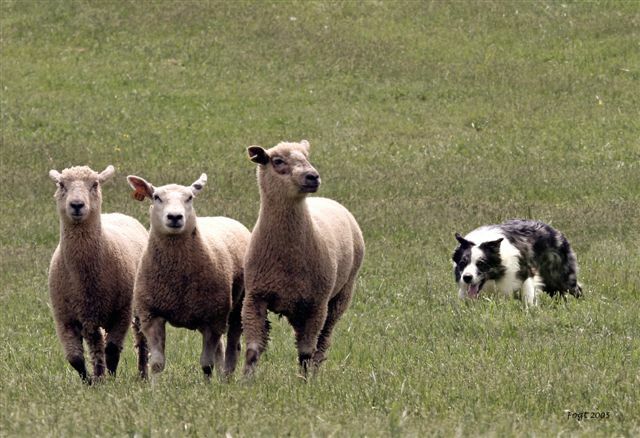 In her day, Deja was a tough lady, a talented sheepdog with too much of an independent streak. In her “hay day,” I suppose I might have thought her the next pack leader, but she now prefers to be left alone to sleep comfortably on her bed, next to mine. Most of the dogs defer to Tulley, but he has no interest in the pack behavior unless it has to do directly with him. Mirk was born here (Deja is his Dam) and lived with us for the first year of his life. Then he went off to pursue a professional sheepherding career. Over the course of the last ten years, he would come home on occasion. Just a few months ago, he retired and is now home for good, and the pack is still adjusting to him. He does have a very strong presence within the group, but strong enough to step up to the role of leader? 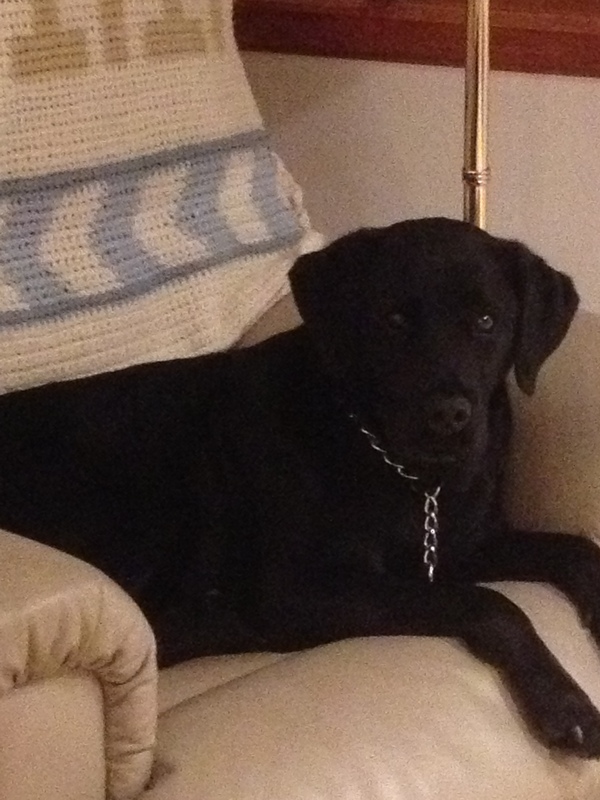 I love them all, but my heart and soul is Echo, a younger full sister to Mirk–she finishes my sentences. She’s not one that stands out as a leader, but she is well balanced within the pack and will step up to control any improper conduct with the other dogs. It’s said that the best leaders rule with a velvet glove, so maybe it will be Echo? Will Wyn be the Winner? The truth is, I always thought that Wyn, a daughter of Echo, even though the youngest of the pack, would be the next leader. After Mirk she is my most talented sheepdog, by far the most boisterous and always into every other dog’s business. She may be too much of a busybody to rule the pack. Either way it will be interesting to see how the dynamics of my pack eventually play out. For now, we’ll let nature take its course.